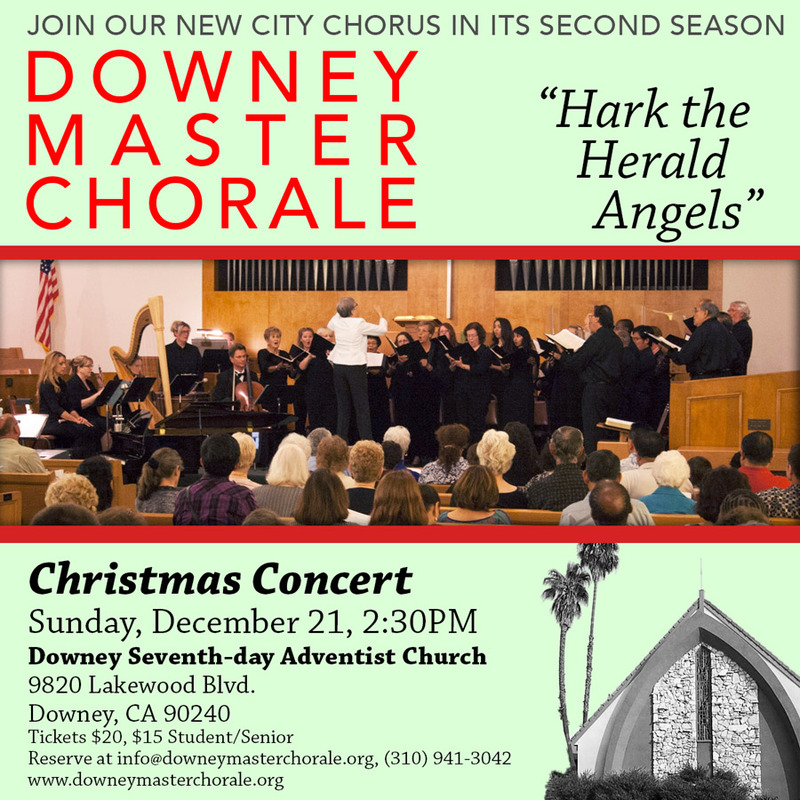 On Sunday, December 21st, 2:30pm experience our city chorus perform at the lovely sanctuary of the Seventh-day Adventist Church, 9820 Lakewood Blvd. in Downey. The concert will feature “Christmas Cantata” by Daniel Pinkham and “Ave Verum Corpus” by Mozart. Unusual arrangements of favorite carols plus some interesting surprises will add to the delight of all present. Come, celebrate and support Downey’s very own quality choral group. Director Margaret Zeleny brings an incredible energy to this new choral group. Downey hasn’t had it’s own city chorus for over 20 years, we hope this new opportunity to celebrate the human voice will be embraced by the community. Auditions are ongoing, for those who have a passion for singing. ADMISSION General: $20; Students and seniors: $15. Group rate available, inquire by phone or email.